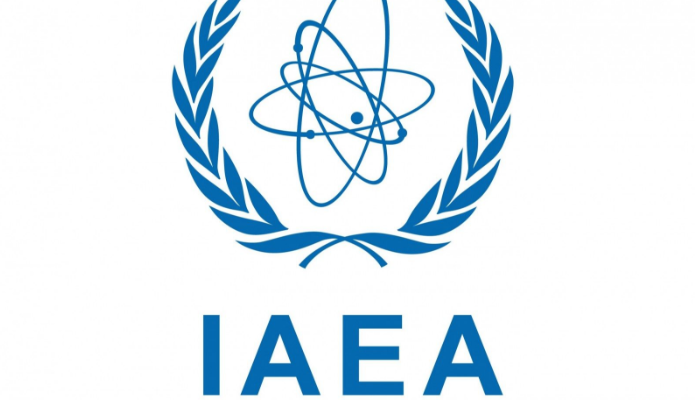 The International Atomic Energy Agency (IAEA) has developed an online system to assist in improving the response capabilities of authorities in the event of an emergency caused by natural hazards. 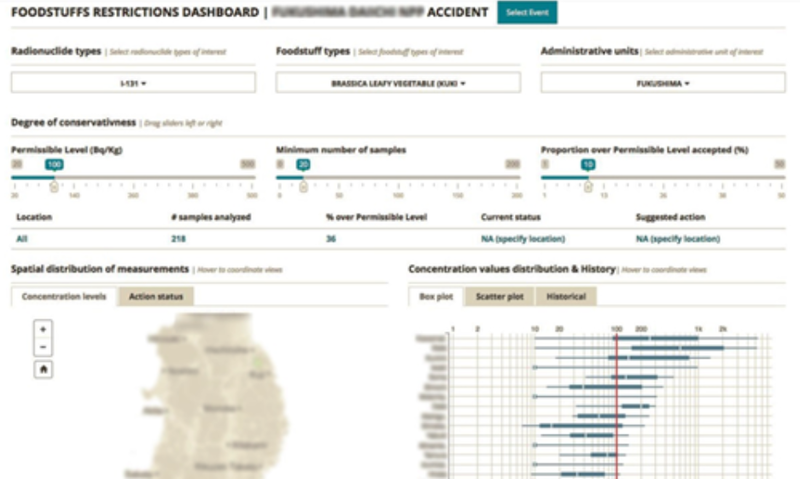 The Decision Support System for Nuclear Emergencies Affecting Food and Agriculture (DSS4NAFA), provides a clear overview of radioactive contamination of crops and agricultural lands through improved data management and visualisation, it also assists in decision support processes by suggesting management actions to decision makers. 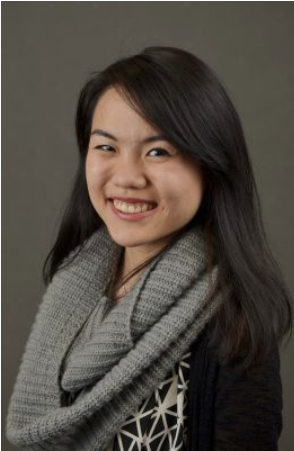 In this interview, we have the pleasure to introduce Ms Amelia Lee Zhi Yi, working at the Joint FAO/IAEA Division of Nuclear Techniques in Food and Agriculture to speak about DSS4NAFA. Nuclear Emergency Response (NER) for food and agriculture – why is that important and what does it entail? In the event of a nuclear or radiological emergency, the response should be swift in the interest of human health. After ensuring the well-being of the population, it is necessary to prioritise the assessment of possible radioactive contamination of crops and agricultural lands to avoid ingestion of radioactivity. Proper data management, data visualisation and risk communication are essential for efficient response to a nuclear emergency. Factors that should be considered for such response include support for sampling and laboratory analysis, optimal allocation of manpower and analytical instruments, and integrated communication between stakeholders. To make well-informed decisions on for instance planting and food restrictions, food safety authorities need to have a good understanding of the radiological conditions after a fallout event. This is accomplished through the collection of environmental samples such as soil and plants, and food products that are then analysed using consistent methods in qualified laboratories. Further, these data should be displayed in an intuitive manner so that authorities will be able to interpret the data under stressful, time-bound conditions. Finally, to reduce confusion and clearly communicate decisions made to the public, standardised communication protocols of the decisions made by policymakers need to be implemented. How can technology assist us in this process? What is DSS4NAFA? Innovative information technology (IT)-based methods can assist in optimising processes in NER. Some examples include streamlining data transfer using cloud-based platforms paired with mobile technologies, facilitating decision making using advanced visualisation tools, and communicating risk to the public using pre-defined correspondence templates. The Decision Support System for Nuclear Emergencies Affecting Food and Agriculture (DSS4NAFA), is a cloud-based IT-DSS tool developed by the Soil and Water Management & Crop Nutrition Laboratory, under the Joint FAO/IAEA Division of Nuclear Techniques in Food and Agriculture. While it was originally developed as a system for nuclear emergency response management and communication, its ability to discern data quality, to provide user-friendly spatio-temporal visualisations for decision makers, and ease in creation of communication materials makes it a good candidate tool for usage in natural hazard risk mitigation. The beta version of DSS4NAFA is planned to be released in August 2018 for testing by volunteer member states. General overview of how DSS4NAFA works. 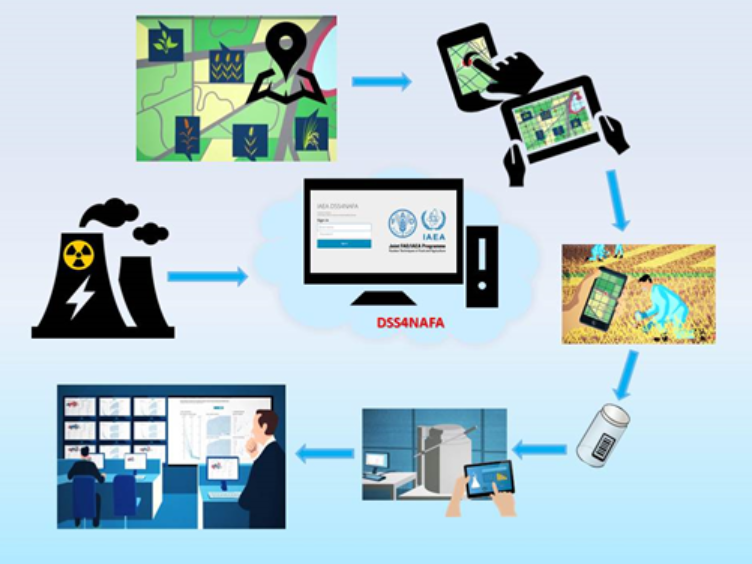 After a nuclear or radiological fallout event affecting food and agriculture, the system assists decision makers by allocating samplers and laboratories according to proximity, allows for data to be input into a mobile device and sent to a cloud server immediately, and visualises data for intuitive decision making (Source FAO-IAEA). How does DSS4NAFA support public authorities in emergencies? The Food Restriction Dashboard is a platform in DSS4NAFA whereby radioactivity information is collated considering the spatial distribution and time resolution of the accident, and suggests food and planting restrictions based on the level of risk and the specified tolerance levels (Source FAO-IAEA). What feedback did you get from real users during the design/development of the DSS? The development of DSS4NAFA was highly iterative and findings from the process were invaluable. Some lessons learned during its development include the necessity for stakeholder involvement during the design process, the usage of a “one-house approach” for centralised data, and the importance of building a tool that is flexible enough to be used during emergency response and routine monitoring operations. The system has generated a lot of interest when shown during several IAEA workshops and conferences such as at EGU, indicating the need for this type of system. What do you think will be the main challenges in the application of the DSS4NAFA? Two challenges are foreseen in the deployment of DSS4NAFA. The first is to explain the benefits of the system to countries with pre-existing Nuclear Emergency Response systems. We are confident that we can succeed as DSS4NAFA is modular, thus Member States can select and implement the components that suit their needs best. Secondly, there could be some learning associated with the implementation of DSS4NAFA. To facilitate this process for governmental data analysts, user experience will be one of the major focus for improvement during the beta testing phase. We strive to develop DSS4NAFA such that the system will be intuitive for use to its fullest potential, even with minimal prior training. The development of DSS4NAFA is part of the Joint FAO/IAEA Division Mandate in Preparedness and Response to Nuclear and Radiological Emergencies Affecting Food and Agriculture to promote the management of intra- and interagency emergency preparedness and response to nuclear accidents and radiological events affecting food and agriculture, including in the application of agricultural countermeasures. Jonathan Rizzi is the incoming ECS representative for the EGU’s Natural Hazard division. He has a bachelor in GIS and Remote Sensing and a master and a PhD in Environmental Sciences. He is a researcher at the Norwegian Institute of Bioeconomy Research and has worked in the field of climate change and risk assessment for the last several years. Editor’s Note: This post first appeared on the EGU Natural Hazards (NH) Division blog. Read the original post here.